Being able to afford improving your home can be a bit of a struggle. On top of paying all the bills that you normally do, you have to find the money to buy the materials you need to improve your home and you have to hire someone to do it for you! This all takes a lot of time and effort, however there are a few easy ways you can raise the money to do such a project so keep reading if you’re interested! Savings accounts are very good ways of raising money without actually doing anything! Savings accounts are free to open with most banking societies like Santander and enable you to save money. The way they operate is that they take out a certain amount of money from your main bank account and drop it into the savings account. Whilst you make think there is no benefit to this, there is a big one; it removes temptation. Savings account money cannot be accessed by your card which removes the temptation to spend it! We are all guilty of spending money we shouldn’t so this takes out the ability to do so. Small loans can be a godsend when it comes to afford things that you need before payday, and home improvements are not an exception! There are all kinds of loans that you can get, but you can get specific unsecured home improvement loans that will directly suit your purposes! Being unsecured just means you need no guarantor for the loan which means that you can get it much quicker, however your credit score will limit the amount you can have so be mindful of this when you apply! Sell The Things You Are Going To Replace! Whilst this is not a way to raise money to pay for your home improvement, it does fill the void in your bank account after you’ve done it! Home improvement often involves getting rid of furniture, ornaments, doors and the like. All of these can be sold on the second hand market for a sizable sum, better than just throwing it all away! Sites like EBay allow you to sell your goods online for a small percentage of the selling. This is good because it allows thousands of people to see your listing and means that you can get a quick sale on it! Doing any of these things are guaranteed to get you the money that you need! Whether it’s saving a little bit each month to have a precious pot to use for the renovation, or if it’s selling on your replaced items or even taking a loan out to fund your project, they will all provide for what you need! Some of these options are obviously quicker than others, it just depends on when you want to get it all done! 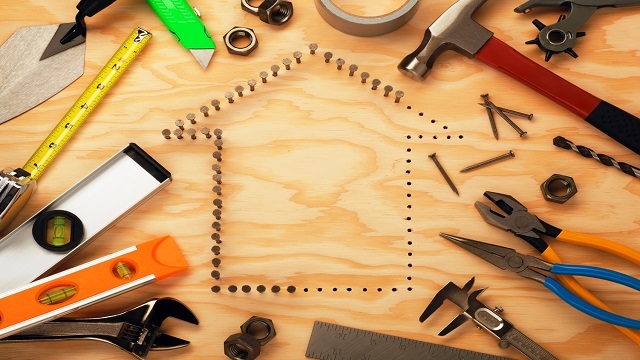 If you’re looking at fixing something in your house after your renovation, or perhaps it is the reason why you’re renovating, take a look here for some quick ways to fix things in your house!